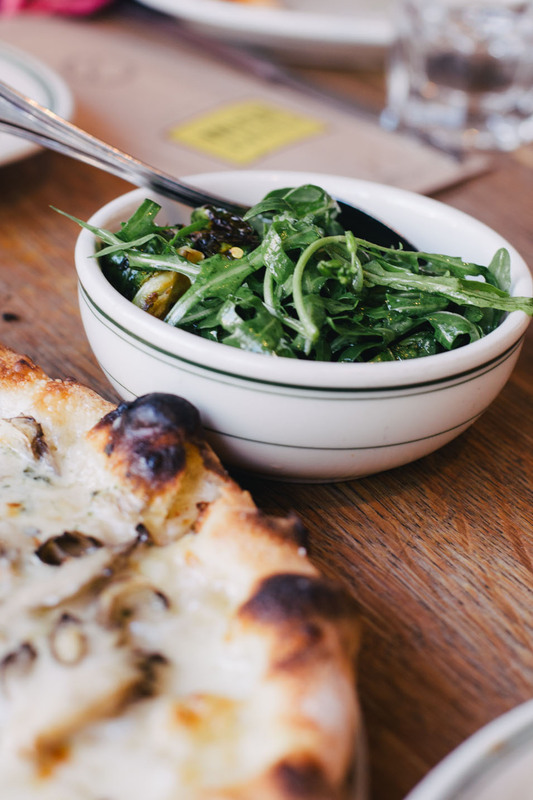 If there is one pizzeria that represents is the heart + soul of San Francisco, that pizzeria would be Pizzeria Delfina. 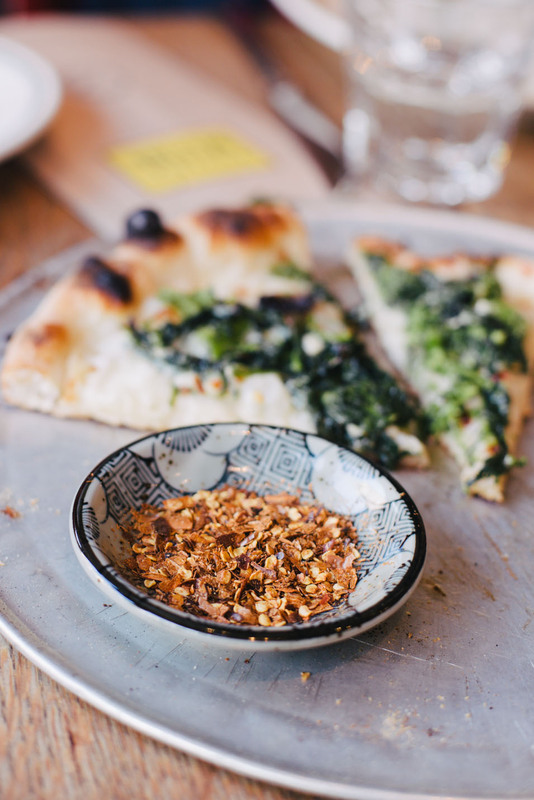 It’s located in the heart of the bustling Mission, just a stones throw away from the (in)famous Dolores Park and Bi-Rite Creamery. There’s a second one in Pac Heights, but I love going to the original on 18th st.
Like most popular places it seems in SF, it’s a casual, small restaurant that doesn’t take reservations. If you go at an off time, say 3pm, you’re less likely to have to wait. Fortunately the turnover is pretty quick, and definitely worth waiting for once in your life. I’ve gotten it to-go a few times, and it’s not the same. It’s best to eat their crispy, thin crust pizzas piping hot and fresh out the oven. Fortunately, the menu isn’t too extensive where you have no idea what to get. My personal must-haves are funghi (pictured above) and the proscuitto pie. 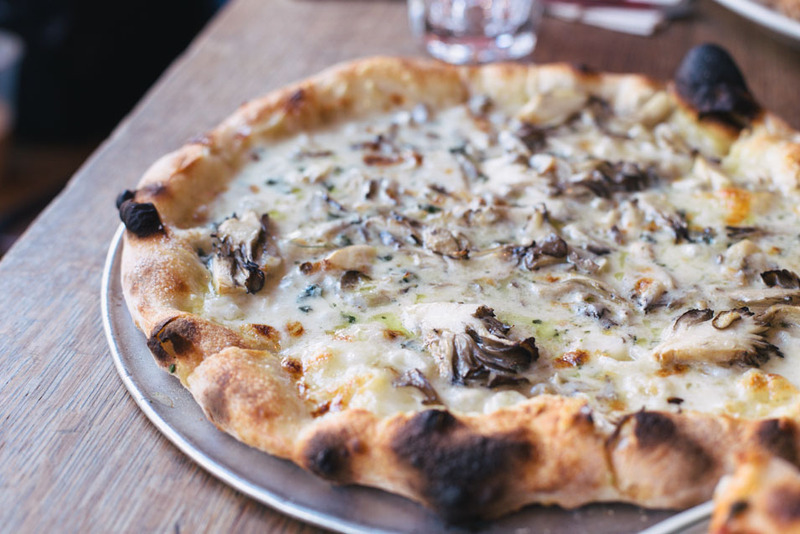 The funghi is a scrumptious white pie with an assortment of different mushrooms and creamy cheese. What I love about the proscuitto is that it’s topped with a healthy does of arugula, which nicely complements the richness of the proscuitto. 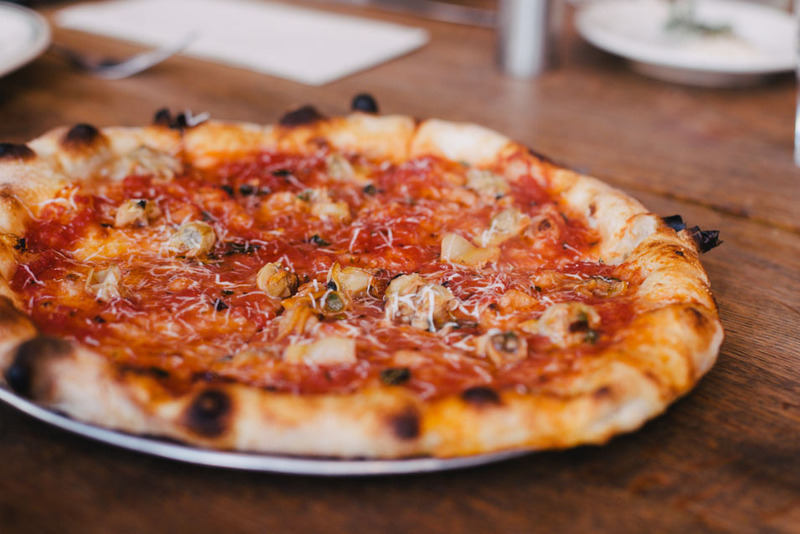 Close runner-ups include the napoletana and the margherita. I love the sardines on the napoletana, and it’s a little lighter because it doesn’t have cheese. And of course, you can’t go wrong with a classic margherita. I also adore their brussel sprouts, cause well… BRUSSEL SPROUTS! The leaves are perfectly browned and it’s tossed in a light mint dressing. I normally dislike mint in anything except toothpaste and gum (cause you know, it tastes like toothpaste), but it’s light enough in here that it doesn’t bother me. 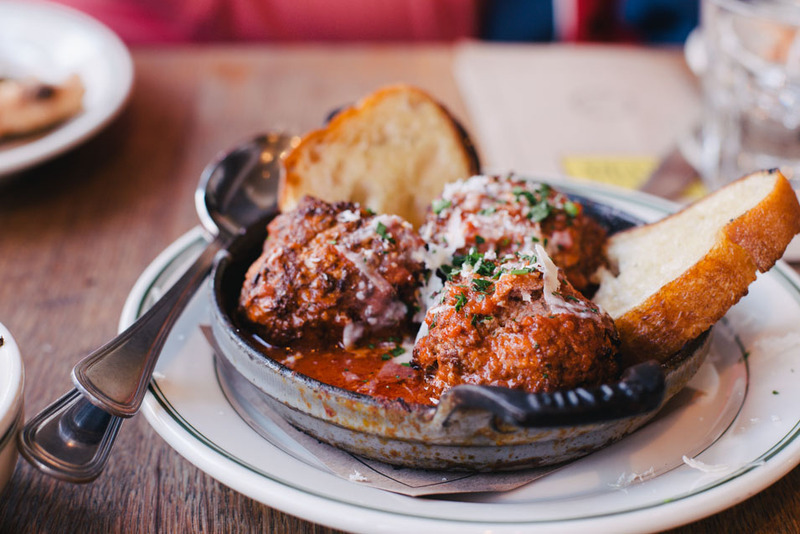 And of course, can’t forget their meatballs. I mean, LOOK AT THESE BABIES. Hearty, cheesy, tomato-y — these are perfection. 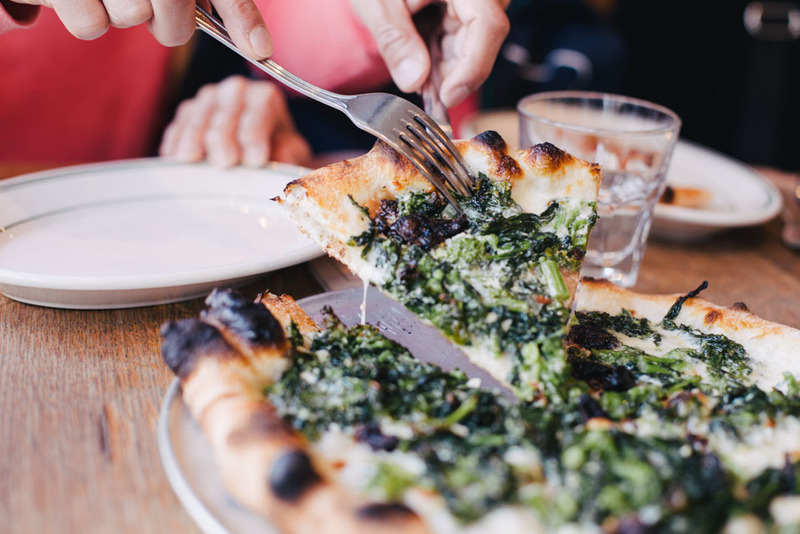 On a sunny day, I would recommend dining al fresco at Pizzeria Delfina, then walking it out by exploring the Mission neighborhood and all the great little shops it has to offer! You’ll find that it’s the go-to activity for locals do that on a warm, sunny day.